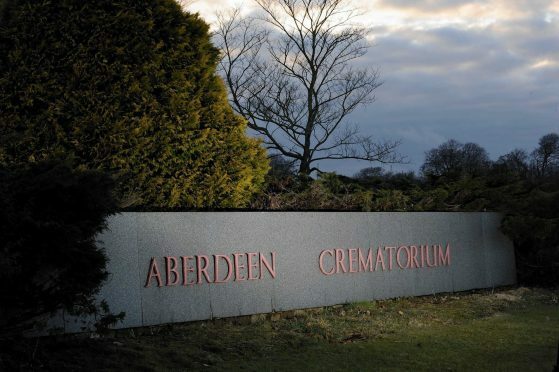 Aberdeen City Council has refused to release the findings of an inquiry into failings at the city’s scandal-hit crematorium – even after receiving a freedom of information request from the Press and Journal. An investigation by Richard Penn was launched in the aftermath of a damning report by Dame Elish Angiolini which revealed that ashes of infants and adults were routinely mixed at Hazlehead Crematorium. But the local authority has repeatedly refused to make the findings of the Penn report public, arguing they would breach data protection laws. The Press and Journal had applied to see the findings under the Freedom of Information Act. But the council is continuing to block any inquiries into the conclusions, which are believed to be scathing of some highranking officials. Grant Webster, information compliance officer, wrote in response to our request: “This is an internal report which includes information relating to employees of Aberdeen City Council and is intended to form the basis of further internal investigations. “The report contains a number of statements from council employees which are not intended for public disclosure. “The employees involved were following an investigative process which required a high degree of confidentiality to ensure that issues could be investigated fairly and objectively. “We acknowledge that, given the circumstances surrounding the report, the public interest lies in openness and transparency. At a meeting of full council last month, the Penn report was circulated to councillors who were given just ten minutes to read the findings before the copies were taken away by officials. One notable absentee at the meeting was the authority’s infrastructure director, Pete Leonard, who has overall responsibility for the crematorium. He has since been signed off sick and is due to return to work today. Last night, Conservative councillor and north-east MSP Ross Thomson said the public would be “disappointed” that the findings were being kept secret.